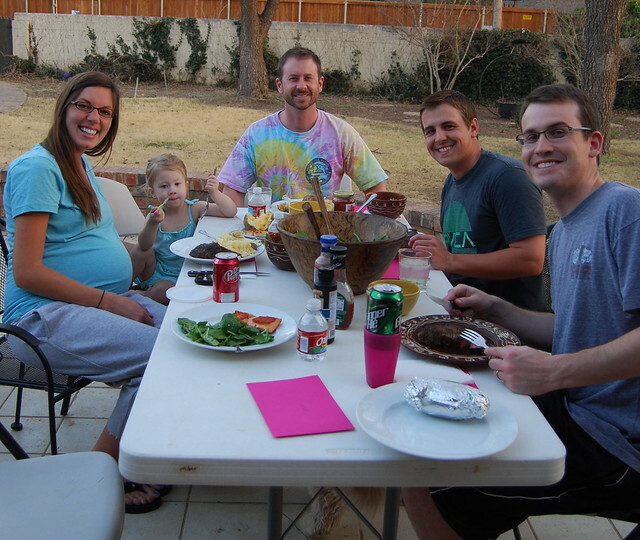 Last night we had roommate dinner to celebrate Bob's last day of medical school!!! He finished up his final rotation on Friday. He starts residency mid June so he finally gets to have a little break for a couple of months. I am so happy for him! To make Bob's steak extra special I got a steak brand with the initials D and R for DR. I don't think we got the brand hot enough because it was kinda hard to even see DR in his steak. 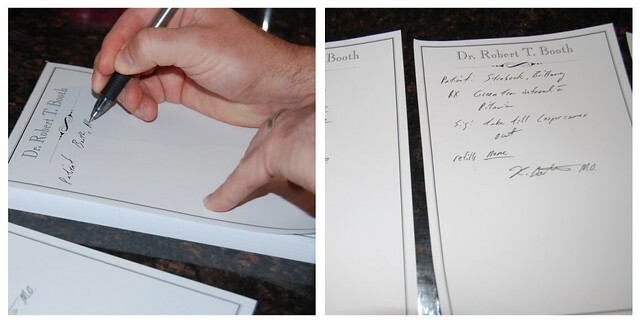 Bob had some fun writing us all pretend prescriptions on his Dr. notepad. Of course you can barely read his handwriting, typical Dr. I placed an envelope under each persons napkin. Inside everyones envelope was a list of symptoms. Throughout dinner each person read their symptoms to Bob and he had to diagnose each of us. He nailed it! Got all of them on his first try, way to go Dr. Bob! Brittany had Mono, I had PMS, Jordan had Dementia and Chris had Chlamydia (sorry Chris but I wanted to make sure Bob was ready for any situation) haha! Inside Bob's envelope was a golf certificate which will be used many times in these next few weeks. I'm so proud of him and can't believe medical school is over. I am excited for this next stage in our lives. Residency here we come! you are too cute! i hope mark doesnt read your blog so i can steal these ideas :) congrats on being finished bob!!!! whoohoo! Leave it to your creative wife to come up with the perfect party to celebrate your last day of school. What a great Idea!!! As time goes on if you become like most doctors you will not want to discuss symptoms at home around the dinner table. Ha Ha We love you Bob and are so proud of you! !